This Minuet and the two variations that accompany it constitute the final movement of Sonata No. 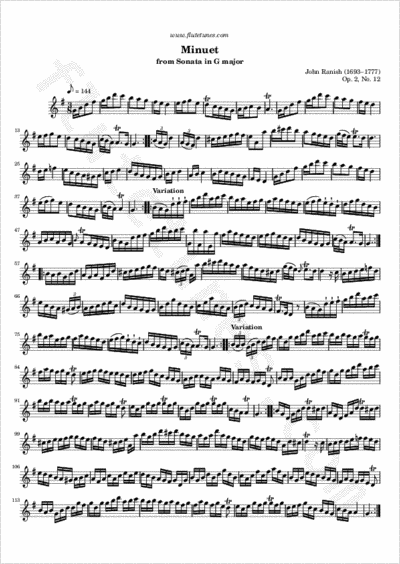 12 in G major fromJohn Ranish's XII Solos for the German Flute, Op. 2, first published in London in 1744.